Dubuque area residents can soon get groceries and everyday essentials delivered right to their door, same-day! 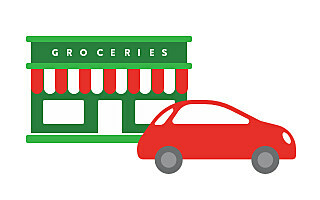 Instacart, the nation’s largest on-demand grocery delivery service, will begin delivery service on August 15 in Dubuque, Cedar Rapids, Iowa City, and Waterloo from a variety of favorite local retailers including Hy-Vee, Sam’s Club, Natural Grocers, CVS Pharmacy and Petco Now. The delivery area will cover over 223K households and is also bringing new income earning opportunities to the area with plans to bring on hundreds of new Shoppers.